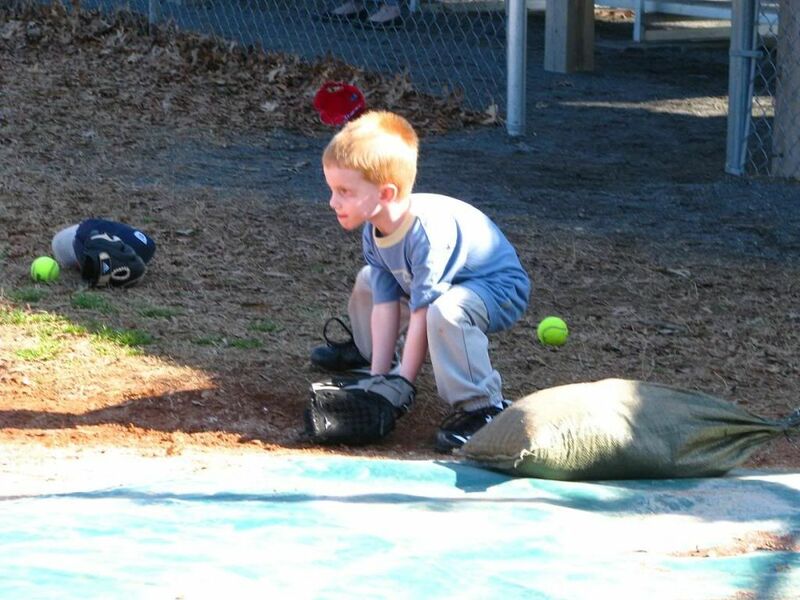 This week, Evan had his first official t-ball practice and met his teammates. 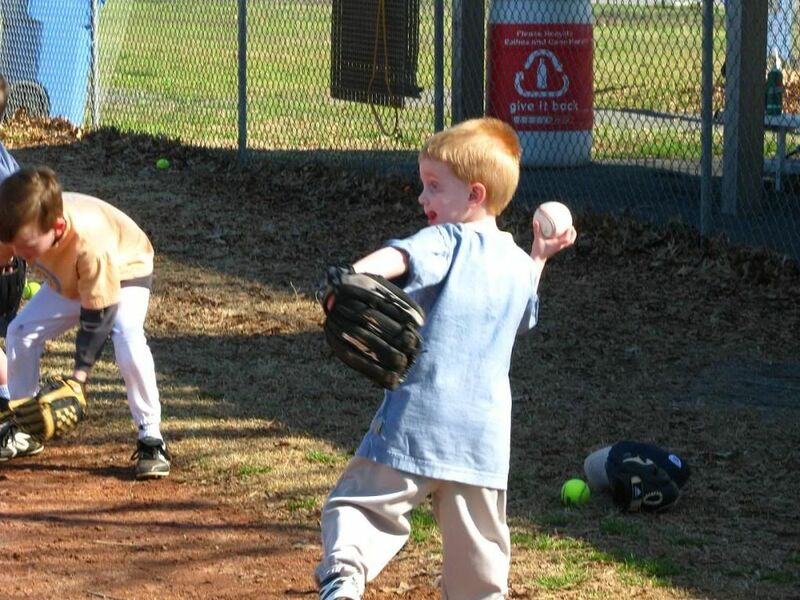 The league was short on t-ball coaches so of course Daddy had to step up and agree to be a co-coach for Evan's team along with another dad. These boys are going to have so much fun together! 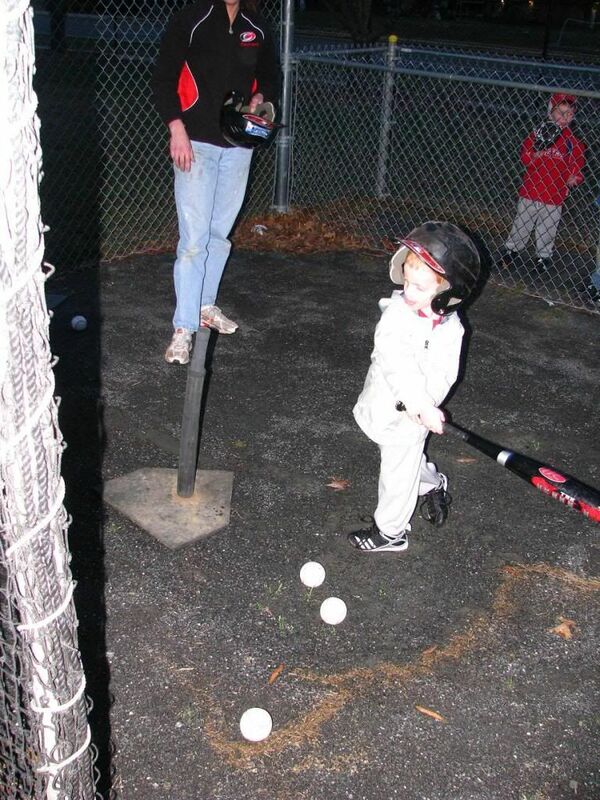 Evan shows off his swing at his first t-ball practice on Monday night. 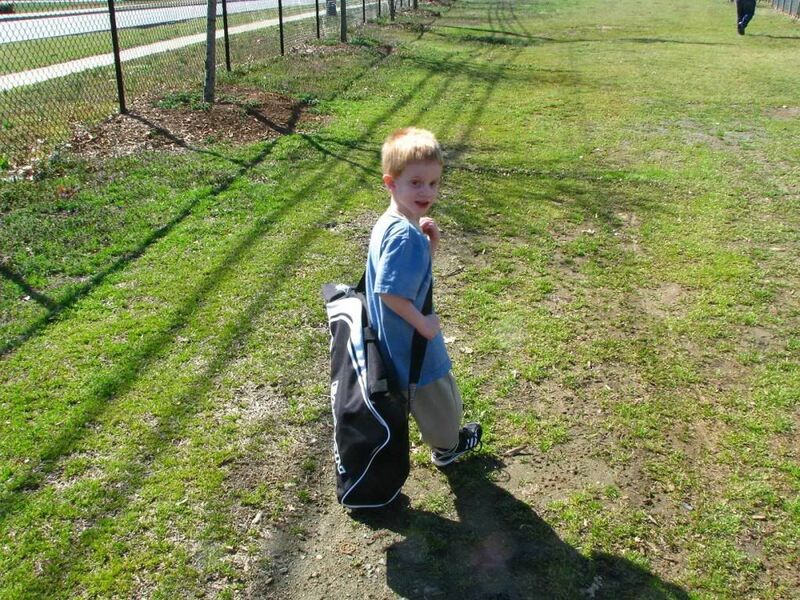 Such a big boy carrying his own bat bag. 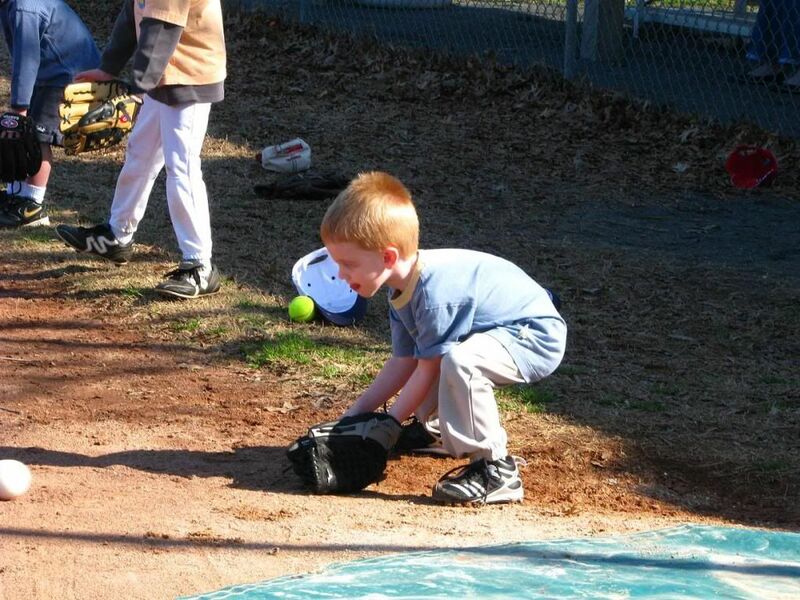 So cute in his catching stance. 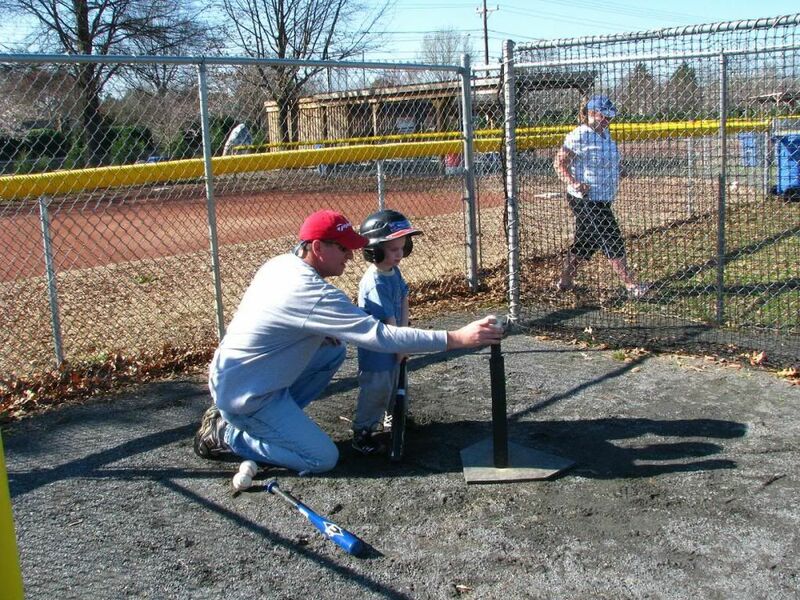 One of the coaches gives Evan some batting pointers. 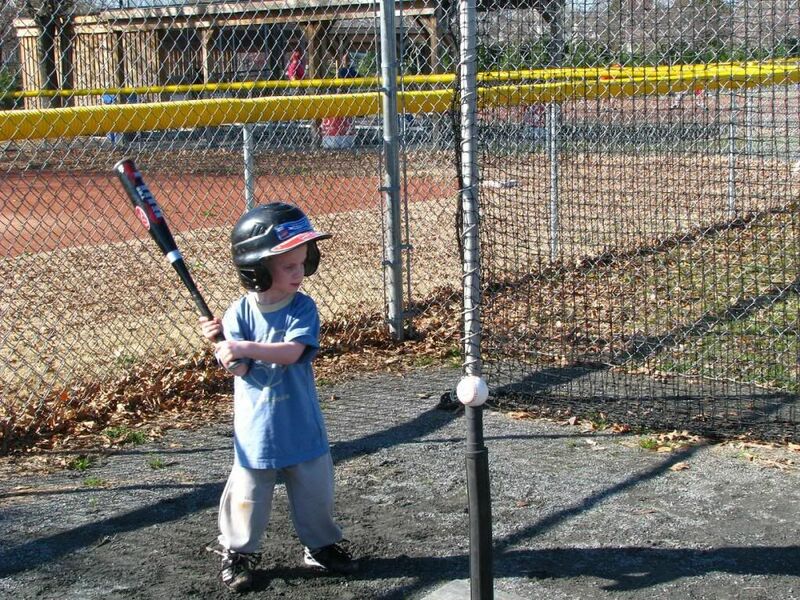 So cute in his little batting helmet. 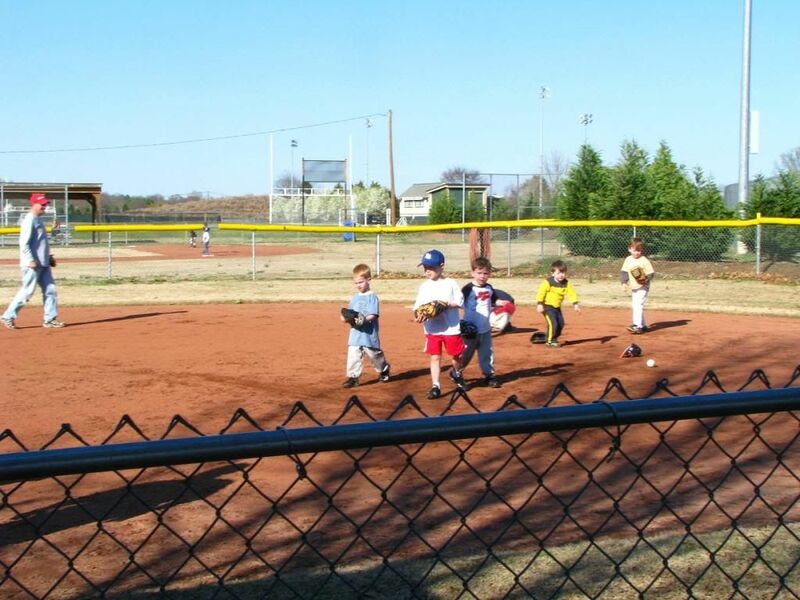 Evan and his team take the field!